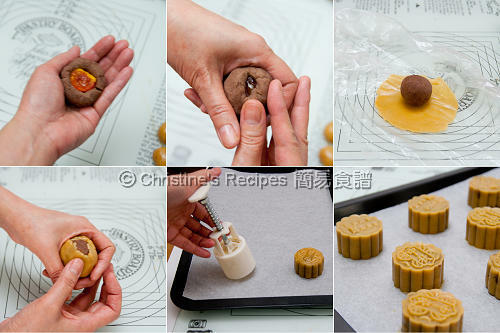 Hi Christine, where did you buy the mooncake mould? Are there any at China Town Brisbane? I got the mooncake mould when I went back to Hong Kong in May. 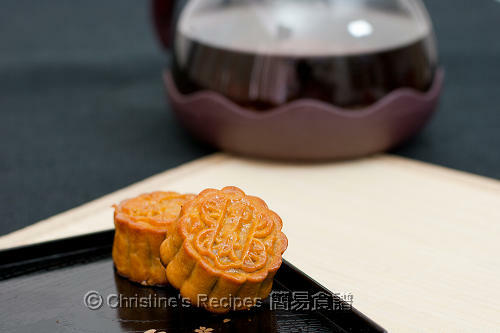 Can you tell me where did you buy the mooncake mould in H.K.? I might go there soon. I got the mould from a bakery shop, called 二德惠 at Shaighai Steet. I really enjoy your blog. You are generous sharing your recipes to us which are simply and easy to understand. And the pictures are very attactive! Thanks and looking for your new recipes to come. Does it sell moulds from your other recipes as well? Not quite get your question. Are you asking if the store sells other moulds for making other dishes from my recipes? Not all of them. 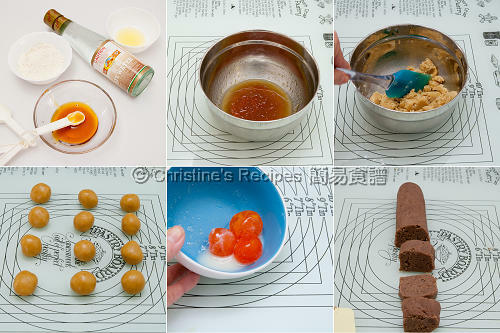 I bought 紅豆餡 to make mooncake, but I found out 紅豆餡is quite running and it is difficult to make shape. Can I add some 糕粉 in it? Please help! many thanks!! You might try cooking it in a wok over medium low heat, and sprinkle some 糕粉 to help it come together. How big is your mooncake mold? 50g, 100g, or larger. I want to get one online, but don't know how big I should purchase... And how big is yours in terms of inches? How big are they in inches? Width? 早前跟你這個食譜做廣式月餅, 但不知為何, 焗好幾天之後, 月餅的餅皮會變濕, 又不乾爽! 想問吓, 焗好出爐後, 是不是一定要完全涼透才可入食物盒呢? 如果我在晚上製作, 是不是要待過一夜才好入食物盒呢? 因為試過2次, 我等月餅涼了點(至少摸去並不熱手), 可能未完全涼透就入盒, 所以, 回油幾天之後, 餅皮就濕濕, 不像在街外買到的, 餅皮是很乾爽! 另外, 亦有一事想請教, 就是你說到做餡料時, 不要太多水份, 那麼, 做冰皮月餅的餡料, 跟做廣式月餅的餡料, 做法上有區別嗎? 因為我之前做的廣式月餅, 都要是用奶重餡料, 自家制的, 食譜是依做冰皮月餅的餡料做法, 會不會這都是其中一個令餅皮潮濕的原因呢? 請問, 你有沒有做廣式月餅用的奶皇餡料食譜呢?可以分享一下嘛? Have just finished cooking the moon cake. However, there are cracks on all of them. I have used the exact recipe and followed the procedures and can't figure out what went wrong. I went through the above messages and found Lily posted the same problem on Sep 15. Would you please tell me the reason and give me some advices? Thank you. 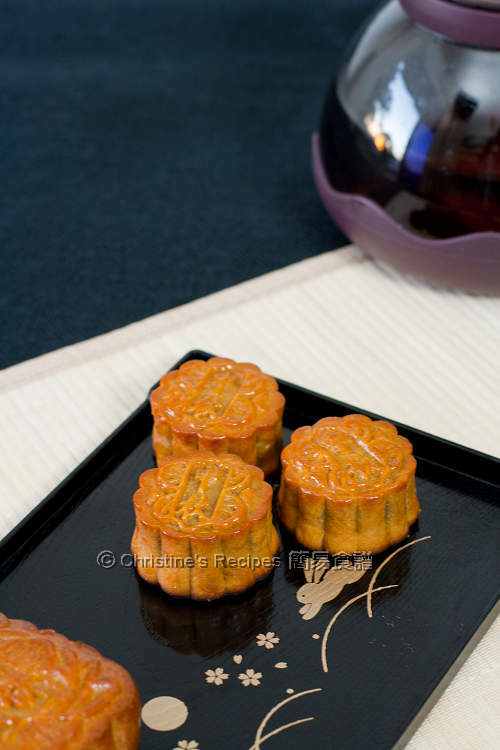 The cracks on the mooncakes might be caused by the heat of oven. Try to reduce a bit when you try again. Sometimes, if wrapping is not appropriate, any gap between the filling and the skin will produce certain air along the way of baking, that would make some cracks appear as well. Thanks Christine, I definitely will try again in a couple of days. Thanks again. Where can I buy 梘水 in Brisbane? You can get it from Asian stores. 我是第一年整廣式月餅, 跟你以上的做法, 已練習了三次. 初焗完出來的效果都不錯, 但一回油2-3天後, 月餅的皮全都很濕很黏手. 就算放雪框後我第二到三天便發霉了 !! 除了剛出爐試吃了一個後, 其它的全不能吃了. 請問 Christine 我出錯在那裏呢? 很是頭痛 !